Here at Sunflower, September is Coffee Month! As colder days approach and the hectic nature of back-to-school season intensifies, we find ourselves more in love with coffee than at any other time of year. 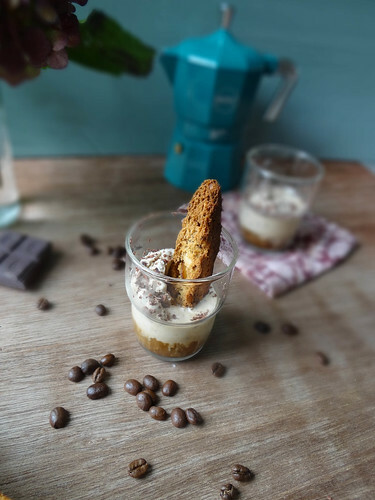 So Heather of Sunday Morning Banana Pancakes has joined us today to share her recipe for Chocolate Espresso Almond Biscotti & Affogato. Hope you're feeling fancy! Affogato translates to "drowned" in Italian - affogato al cafe, meaning drowned in coffee, is a traditional Italian treat served in cafes consisting of a shot or two of hot espresso poured over vanilla or coffee ice cream. 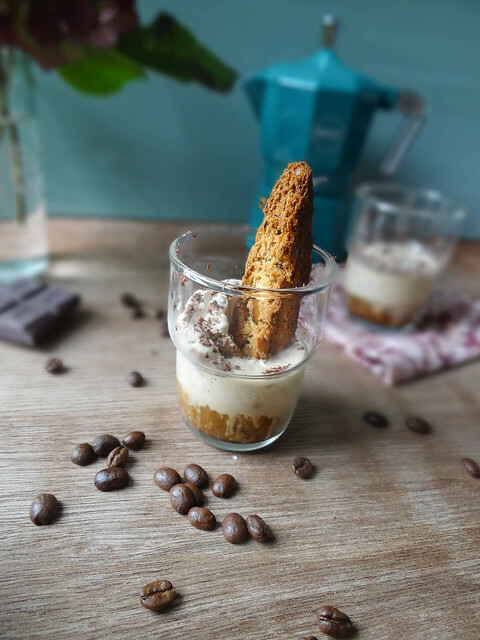 Affogatos can be dressed up in many ways; chocolate shavings, whipped cream or chocolate covered espresso beans. 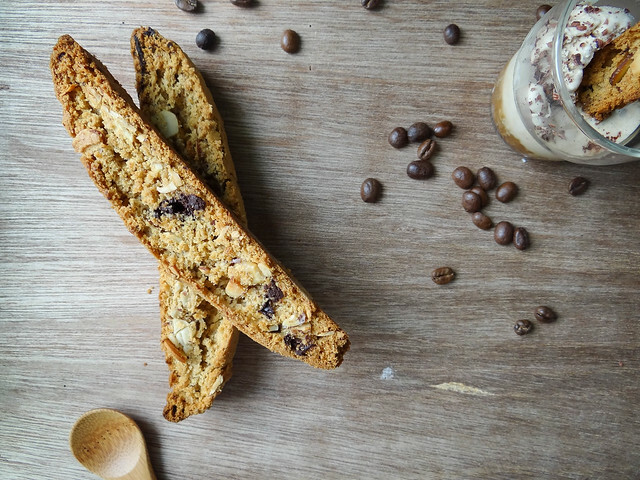 To me, the perfect pairing to an affogato treat would be biscotti, the famous twice baked Italian cookie. 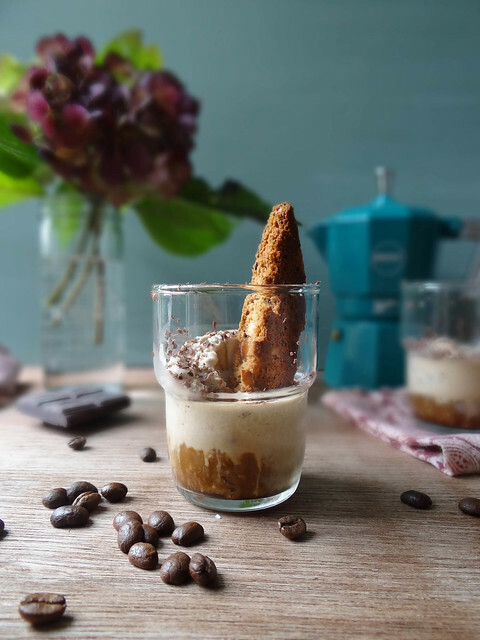 What a better way to celebrate the month of coffee than with an affogato and chocolate espresso almond biscotti. 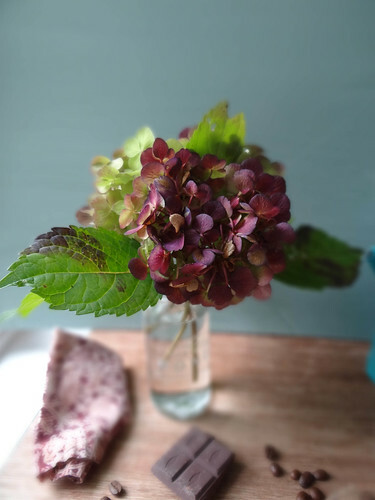 Both of these treats are relatively easy to make. If you lack an espresso maker simply brew your coffee the traditional way, doubling the amount of grounds to water ratio to ensure your coffee is on the stronger side. To make this affogato extra special, we made ours with Luna & Larry's Coconut Bliss Coffee Ice Cream (they seriously make the best non dairy vegan ice cream) topped with shaved dark chocolate. We are lucky here in NH to have many amazing coffee roasters, one of our household favorites just so happens to be a local coffee roaster, Woodshed Roasting Company based right in Laconia, my home town. Woodshed coffees are globally and economically friendly and focused, not only do they support the world economy but also the local economy by purchasing trailers from NH Trailer Outlet for hauling their products and also hiring local Master Craftsman to build the shelving units that display their many varieties of locally roasted coffees. 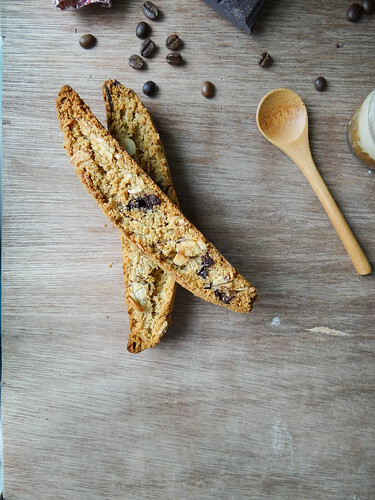 Biscotti is really quite simple to make, don't let the twice baked scare you off. Biscotti packs well, making this an exceptional cookie to bake during the holidays- it travels and keeps very nicely. 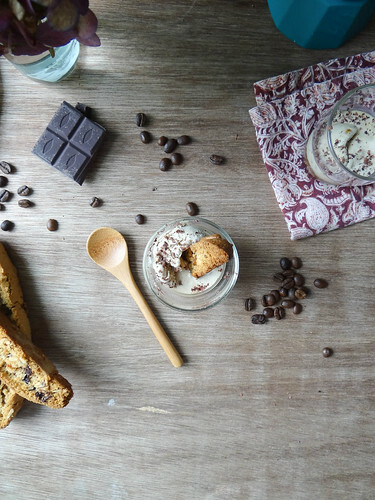 Help me celebrate NH's Coffee Festival with a special affogato treat & espresso biscotti! Coffee was introduced to civilization around the 15th century, made from the roasted seeds (called “berries”) of the Coffea plant. These seeds are cultivated mainly in Latin America, Southeast Asia, India and Africa. However, the Arabs were the first to cultivate and trade in coffee beans. Cream the vegan butter in your mixer until light and fluffy in texture. Whip the flax seeds and maple syrup together in a small bowl. Sift in the flour, baking powder, and salt, mixing lightly until relatively combined. Continuing with the mixer on a slow speed, add the flour, espresso, almond milk & almonds the mixer until it just comes together. Scrape down the sides, add the chocolate pieces and mix until well distributed. Shape the dough into a long, skinny rectangle about 1" thick by 6" wide & 12" long and place it onto your prepared baking sheet. Slide the baking sheet into the oven for 35 to 40 minutes. The top of the biscotti loaf should be lightly browned, but don't panic if it seems a little bit soft and bread-like on the inside. Cool the biscotti for at least 10 minutes, and slice horizontally into cookies that are about 1/2 inch thick. Lay the slices down flat on one of their cut sides on the baking sheet, and return the biscotti to the oven for another 10 minutes. Remove from oven and allow the biscotti to cool completely. Place 2 scoops of vegan ice cream in each glass, pour a hot shot of espresso over the ice cream and serve with your topping of choice. If you readers love coffee as much as we do, you've got to come visit us on September 14th! Downtown Laconia will be celebrating New Hampshire Coffee Festival between 1 and 5 pm. They'll have vendors, live music, and all sorts of coffee-themed events. At Sunflower, our party will be brewing all day! Stop in for a free cup of Joe before you head to Main Street! We can definitely understand where you're coming from. Coffee (as a drink) is not for everyone! Here at our store we are obsessed, though. Thanks for your similar recipe. Have a wonderful evening!